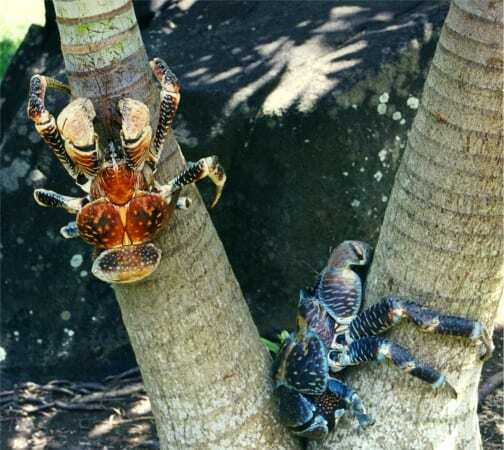 The coconut crab (Birgus latro) is the largest known terrestrial arthropod species reaching an incredible metre in length (including their legs). They are found on islands throughout the tropical Indo-Pacific and were perhaps paid the ultimate accolade by Darwin: “monstrous” was his description and who am I to disagree. The biggest males reach over four kilogrammes but have been recorded lifting 28, equivalent to seven times their own weight. Ours is a smaller female specimen. She was collected on Diego Garcia (a tiny atoll in the centre of the Indian Ocean) and came into the collection in 1891 already a hefty size. She must now be 150, at least… that’s one old crab. They bear little resemblance to coconuts and are instead named for their colloquial association with the coconut palm (Cocos nucifera). They have been recorded climbing the trees to pull down ripe drupes (the technical name for a coconut) and there are unsubstantiated tales of coconuts being used as convenient rafts to aid their dispersal between islands. The adults breathe through modified gills (so modified that they don’t work underwater) so the crabs will drown if submerged for long periods. Debate remains over what proportion of their diet coconuts actually make up. Darwin was unequivocal on this point: “they live entirely on the fruit of the Cocoa nut tree”, though more recent studies have challenged this. We know they do eat coconuts (at least sometimes), ripping open the shells and into the pith with their powerful claws, but they also eat pretty much anything else. Their diet mainly consists of fruit, stems and rotting bits of plants but they will happily tuck into carrion too, scavenging anything and everything organic. They live in rock crevices or self-excavated burrows in loose sand or soil and hunker down during the day, emerging at night once it’s cooler and they are less likely to be eaten. The adults have only one recorded predator: humans. You might have noticed how I keep qualifying everything in relation to “adults”. This is because of the coconut crab’s incredible lifecycle which renders everything that is true of the adults false for the young. Females carry their fertilised eggs on their abdomen (using three special “egg legs”) for three to four months as they develop. Just as their eggs are ready to hatch, the expectant mothers rush to the waves, releasing the hatchlings directly into the ocean. These tiny larvae then drift in the water currents for about a month after which any that survive drop to the seabed, occupy an abandoned gastropod shell and start marching towards land. 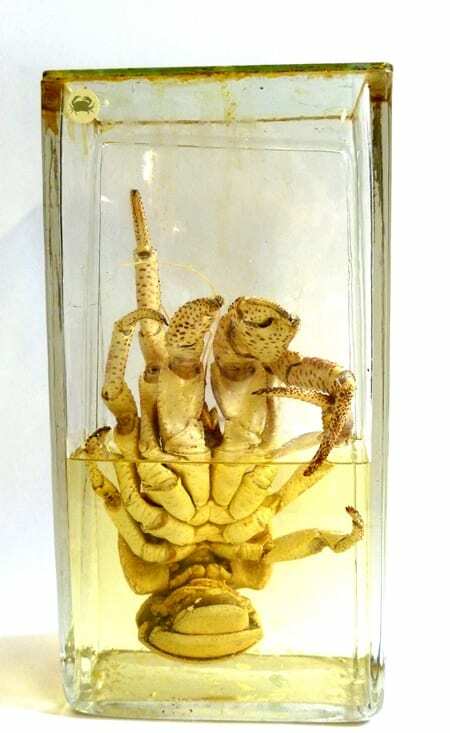 They will stay in their shell until they are two or three years old at which point their exoskeleton hardens even though they are only a couple of centimetres long. 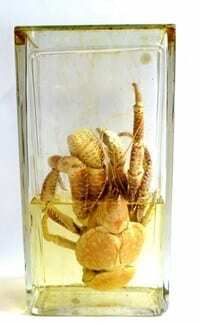 Sexual maturity is reached at about five and it can take 40 years, and many moults, for a coconut crab to reach full size. A healthy adult can live to over 60 and will keep breeding ‘til the end. 5) Absolutely crabulous… but for how much longer? It is this prolonged maturation that makes them so vulnerable to over-harvesting. As the large and most fecund adults are preferentially hunted, and so removed from the population, it can take decades for others to fill their shoes. If this is constantly happening, none may get there. While there has been limited protection extended to the crabs in some areas, the truth is we just don’t know how bad the situation is (the IUCN list Birgus latro as data deficient). Theoretically it has all the makings of a conservation disaster (long generation times, highly edible and found in areas of rapidly expanding human populations) but whether or not one will unfold remains to be seen.